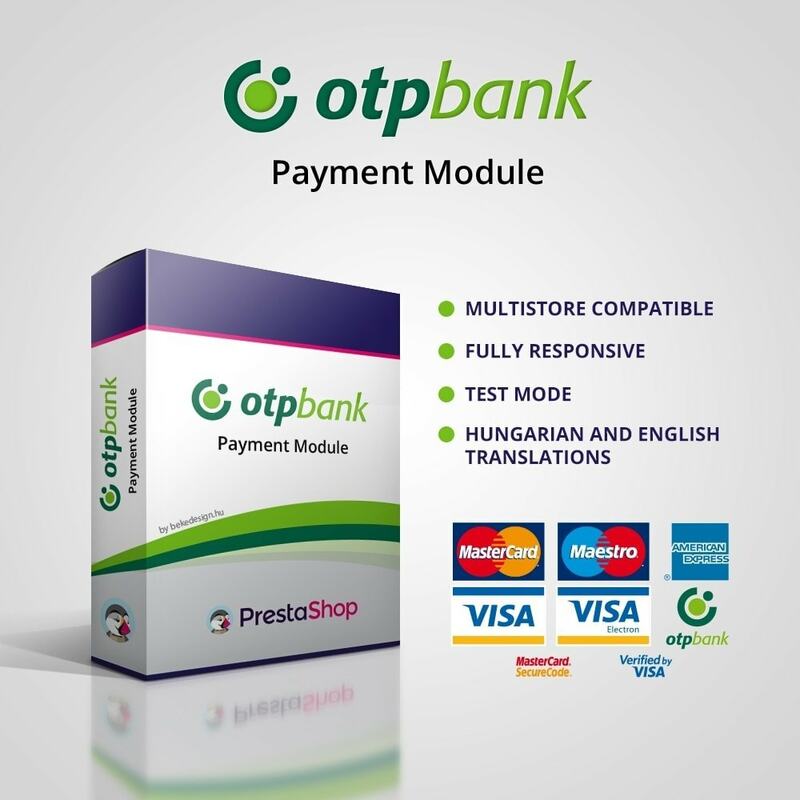 OTP Payment - Payment module of Hungary's leading and most known bank for PrestaShop. 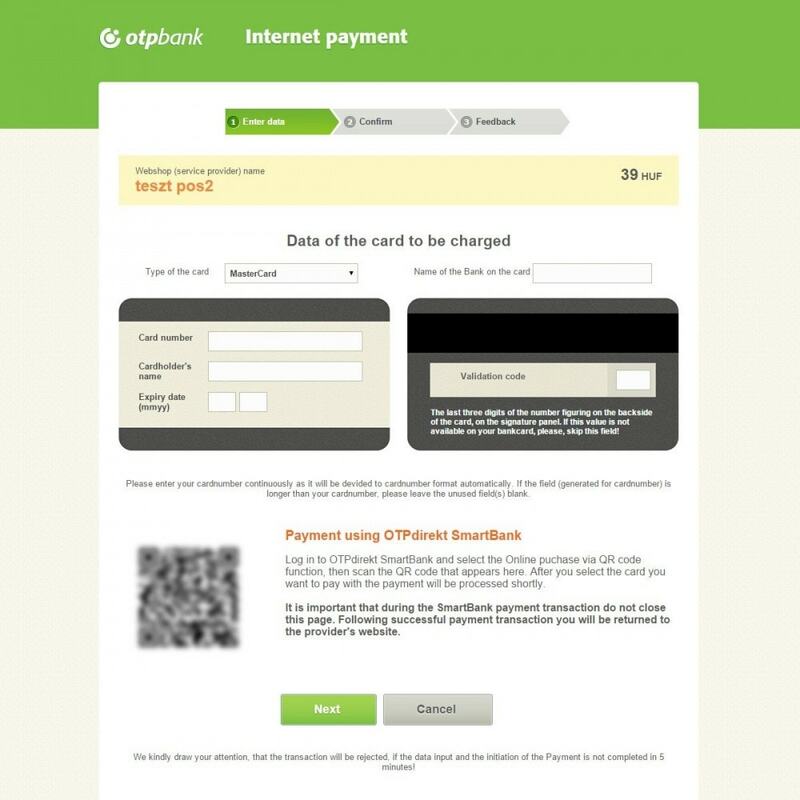 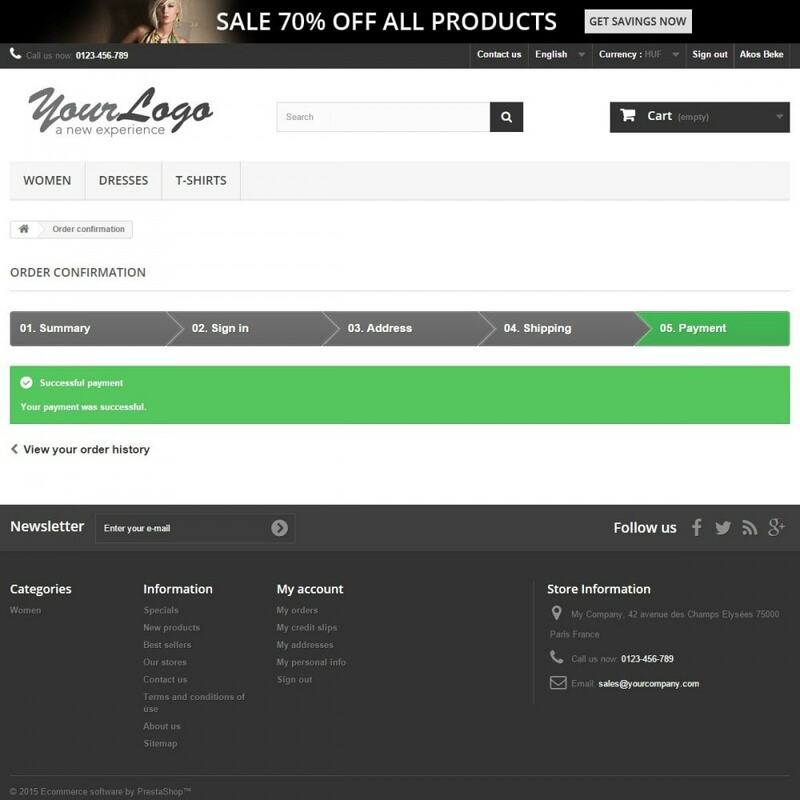 Provides a payment method suitable to your customers. 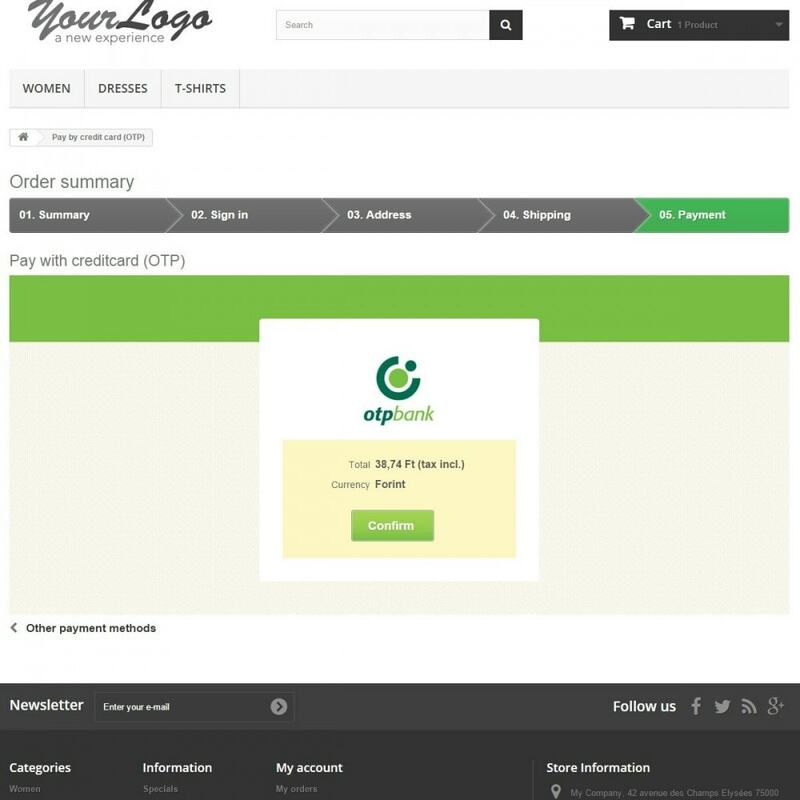 Encourage your customers to buy more confidently online through the interface of the most popular bank of Hungary! 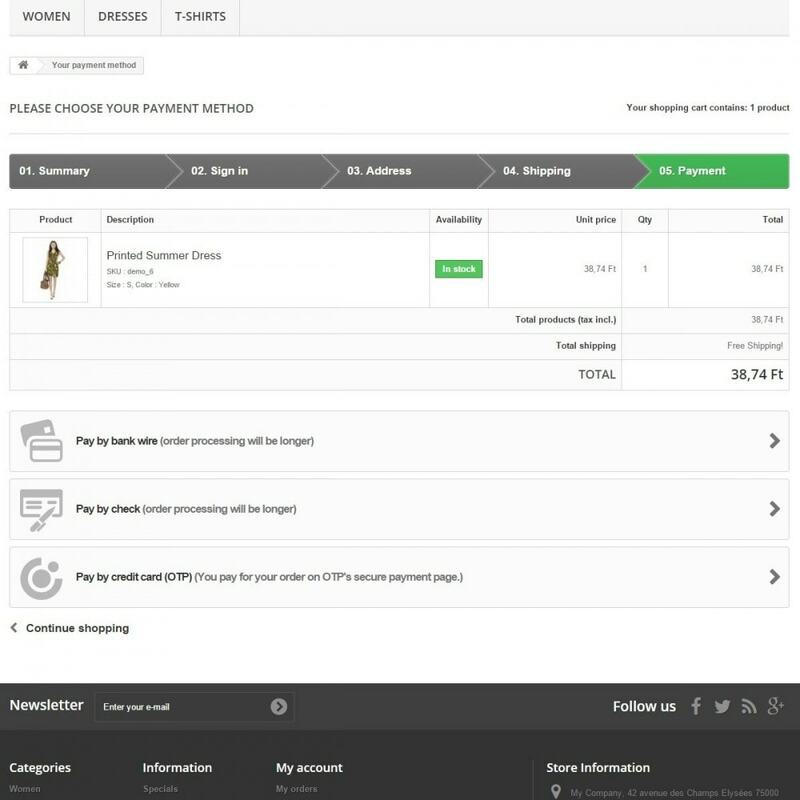 Buy this module to increase your online sales! 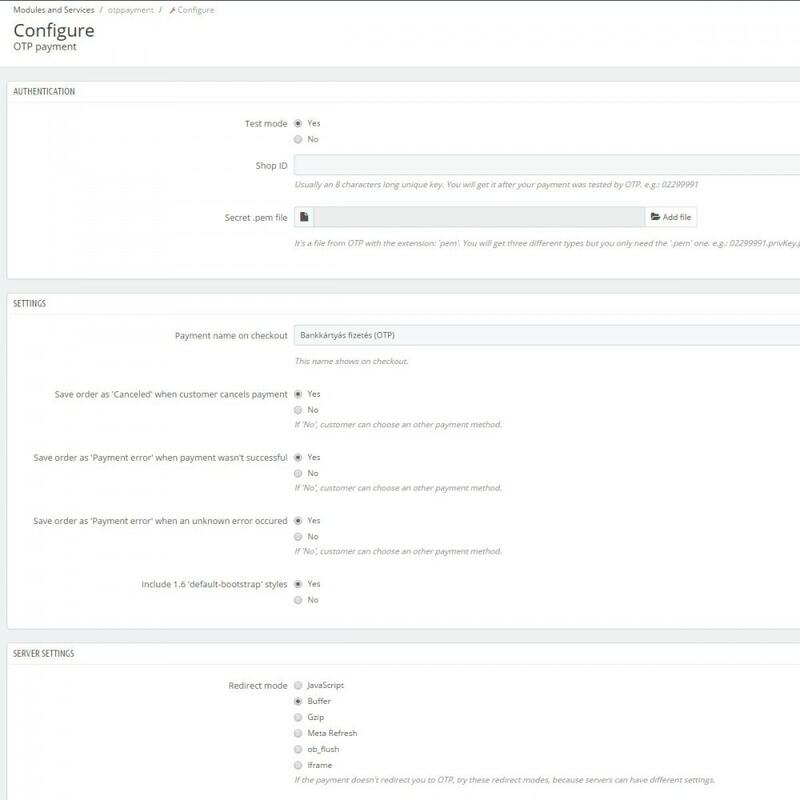 A detailed installation guide is available in English and Hungarian.